As it turns out, iPhone users are generally better at the problem solving game ‘Test of Wits’ than any other smartphone users. In Ladbroke’s small survey of 1000 smartphone users, iPhone users averaged 94 seconds for the brainteasers while Google users were second with 99 seconds and Blackberry was last with 118 seconds. The Test of Wits is made up of seven brainteasers designed to test problem solving skills, pattern recognition and code cracking. Each question has four possible answers and a participant has to select the correct answer before moving onto the next teaser. Example questions include: How many 9s are there between 1 and 100: a) 19 b) 20 c) 9 d) 1 e) 14. Another is how many months have 28 days: a) 1 b) 12 c) 24 d) 10. 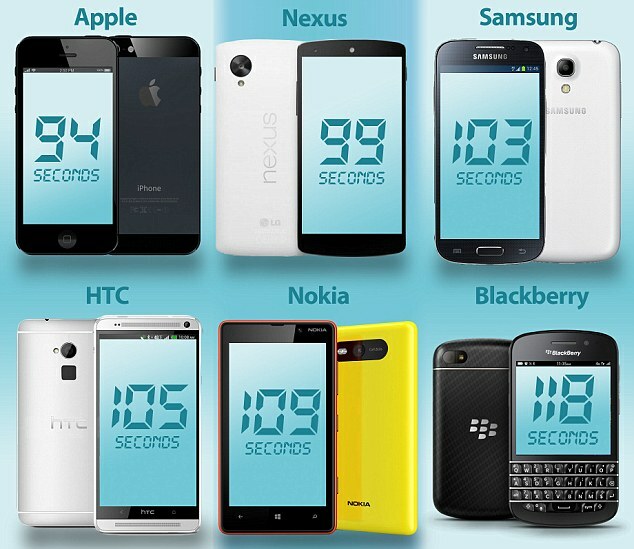 Each user is asked to select their make of handset before completing the test, and a timer in the top right-hand corner records their speed. This is certainly not an indication of intelligence of phone users based on their phone selection, but some were quick to say that Apple owners were “smarter.” To see where your personal average time falls, take the test here.